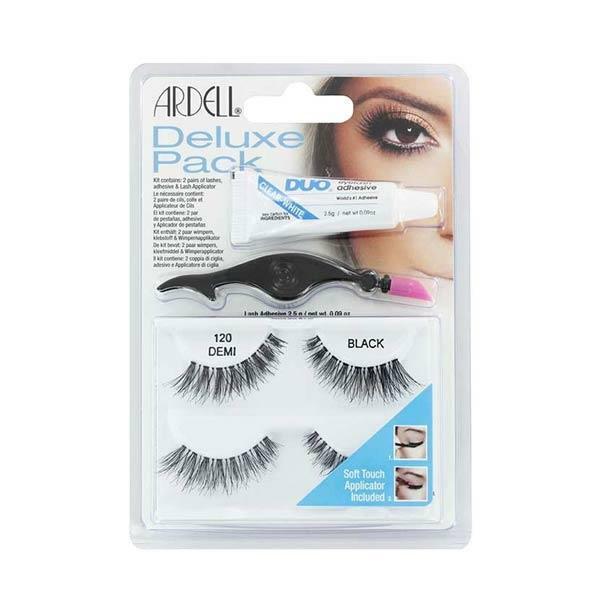 The Ardell Deluxe Pack Demi 120 Black Eyelashes is the set all fake eyelash lovers will want. This set includes 2 sets of natural fluttering eyelashes, an applicator and mini glue. If you want long natural lashes with a bit of volume then this set is perfect for you.